75 years ago, on 27 May 1940, some 287 Other Ranks and 7 Officers marched from the Castle past the City Hall and down Adderley Street in Cape Town en route to the station from where they travelled to Potchefstroom, then to Durban, from there they sailed to Mombasa. From there they travelled to Kenya, Abyssinia, Berbera, Egypt, El Alamein just to mention a few, all in support of the 2nd World War. These were all members of the Cape Town based 3 Brigade Signal Company, South African Corps of Signals. Amongst those members who returned, one by name of Charles Holloway decided to start a Reunion of members to reminisce about their WAR days and to, hopefully, get together on an annual basis. Quite often, an idea like this is not everlasting and fades away but, thank goodness, not these guys. With their perseverance, they managed to keep the “flame” burning for over 69 years. As they were down to only 3 members, they decided between the three of them, to call it a day. That occasion was on Sunday, 1 May 2016, when they hosted their 70th and last Annual Reunion AGM / Luncheon, when that same person who started the tradition, Major Charles Holloway (aged 98), Sergeant Syd Ireland (age 96) and Signaller Eddie Mills (Aged 96) were present as last Chairman, Secretary and member, respectively. These gentlemen had been contemplating for some time to end their almost ‘lifelong’ tradition, but with the encouragement of 71 Signal Unit, originally 3 Brigade Signal Squadron, established on 1 May 1946, and the SIGNALS ASSOCIATION, which was established on 2 December 2000 as an initiative by Lieutenant Colonel Robbie Roberts, then officer commanding of 71 Signal Unit, the 3rd Brigade Signal Company guys had faithfully continued the tradition established by them in 1946, the only signal unit from amongst 35 signal units serving in the Second World War. 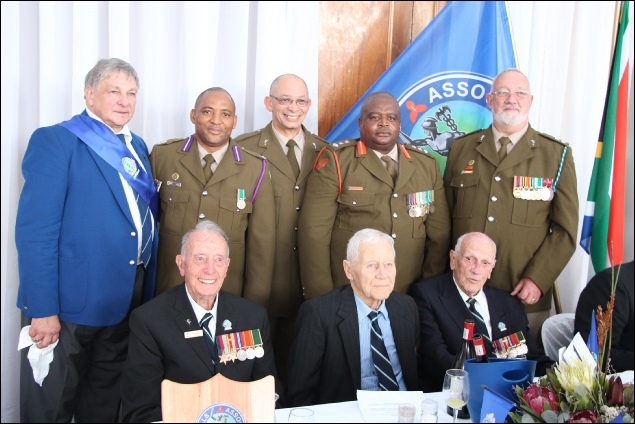 In order to pay proper and justifiable tribute to these fine and brave gentlemen who had so gallantly fought for their country and others, the SIGNALS ASSOCIATION hosted a suitable event at the Italian Club premises in Rugby, Milnerton, Cape Town on Sunday, 1 May 2016. 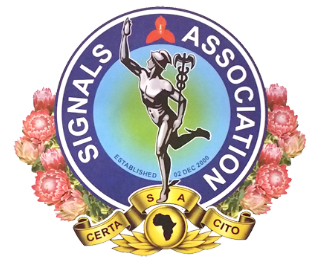 Such event took the form of the last AGM and Luncheon of the 3rd Brigade Signal Company Reunion Association and simultaneously ‘transferred’ the 70 year old tradition to the SIGNALS ASSOCIATION as the next generation of Signallers. This ceremony also saw the lowering of the 3rd Brigade Signal Company Reunion Association flag for the last time and the hoisting of the SIGNALS SSOCIATION flag for the very first time. 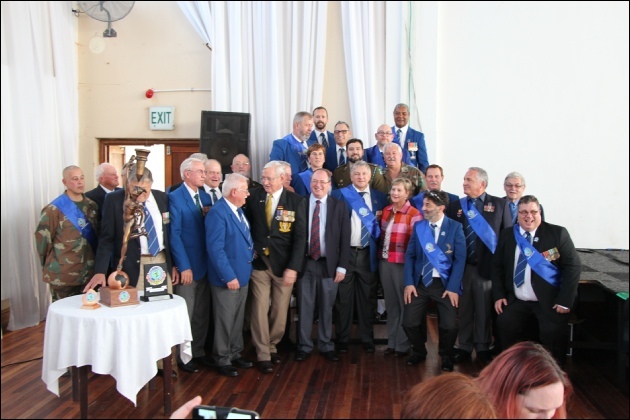 A new tradition was also established at this occasion with the introduction of a ‘Flame of the Signaller / Vlam van die Seiner’ as a tradition of the SIGNALS ASSOCIATION. You can view more photos of this event by checking out our Photo Gallery.